1). Make the mouse sleepy. Frustrate the life out of your colleague by changing the speed of their mouse to either really slow or really fast. By changing the mouse to its slowest setting turns even the simplest movement into a laborious ordeal. For Mac: System Preferences > Mouse > then alter accordingly where it says Tracking Speed. Select ‘Apply’ then ‘Ok’ to apply the changes. 2). 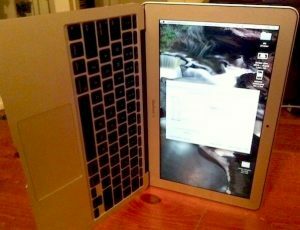 Fip your co-worker's screen upside down. 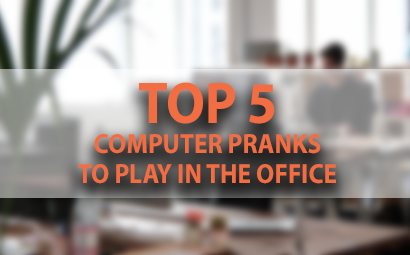 With a simple function, you can change your coworker's computer screen to be displayed upside-down, which will totally freak them out when they return from lunch or the restroom. The best part is watching them try to revert it back to normal! Press Control, Alt, F1 and then use the arrow keys to move the screen. Some users have set their own key combination, if this does not work you will need to find someone else to trick. Enter System Preferences and click on the Display tab. 3). 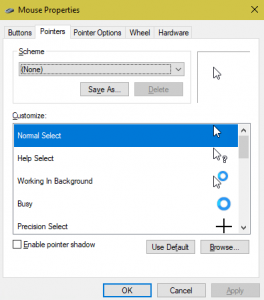 Drive people to insanity by changing their mouse pointer. Whenever I see the busy cursor I feel irritable. I can't help it. This simple prank will make your victim think their computer is loading all the time when it’s really not. For Mac: This prank option isn't readily available but you can still mess with the cursor. Go to System Preferences > Accessibility > Display and drag the cursor size all the way to the right to make the mouse pointer gigantic. While you're at it, you might as well mess around with the other display settings like inverting colours and turning the contrast all the way up. 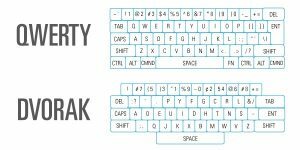 The vast majority use the standard layout which is QWERTY, however, a fun way to mess with someone is changing this layout to DVORAK a layout most average users aren't familiar with. See in the example pic the keyboard layouts. For Windows: Go to the Control Panel > Region and Language > Keyboards > Change keyboards, then click the Add button and pick the Dvorak layout (or any other random layout you want). Once you’ve done that, use the drop-down above to set the default. You’ll probably want to flip over to the Language Bar tab and set that to hidden as well, so the tricks can't be figured out too easily. In Microsoft Word, go to “Tools” and then “AutoCorrect” to replace common words with fun alternatives, or your neighbour’s name with something… more creative. When they type the given word, it’ll automatically be replaced with whatever you’ve chosen.